If you are looking for an insured cleaning services provider to help you with your hard floor cleaning, you have come to the right place. 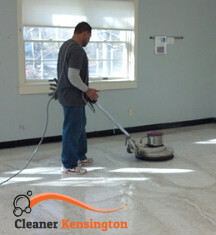 We are a certified and renowned cleaning services provider for Kensington and we take pride in our impeccable hard floor cleaning service. We will gladly send you one of our teams to take care of your floors, too. Just give us a call. You will see for yourself how easy and economical it is to use our cleaning company. 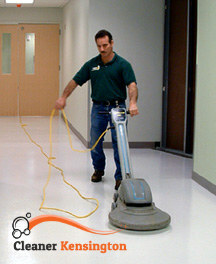 We have the most practical prices and the most skilled cleaners to take care of your floors. Call us as soon as possible. Our cleaners will come to your home at the exact time of the appointment and will judge what is the best cleaning method and cleaning products for your floors, depending on their material, and will get to work right away. Our cleaners vacuum and then clean the floor using a rotary machine, which will clean the floor perfectly and in depth, not just the surface. When they are done, they will inspect the floor and clean by hand if there are any missed spots. When they are convinced that the floor is pristinely cleaned, they will use a machine to polish the floor. Give us a call and hire our fantastic cleaners to take care of your floor, they are the best in W8 Kensington. We promise not to disappoint you. Call us now.